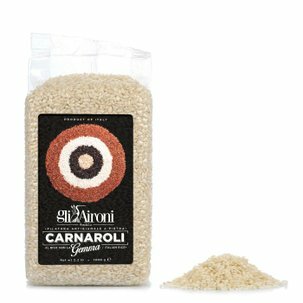 The long grain mix from Gli Aironi is a mix of long grain rices: whole grain rice, basmati rice: whole grain red rice and wild rice, also known as Canadian wild rice. 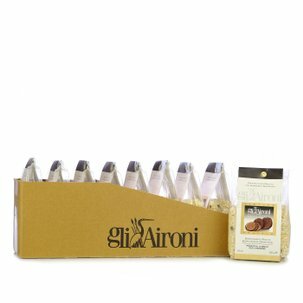 The mix selected by Gli Aironi is particularly aromatic and rich in nutritional properties thanks to the high content of fibre from the whole grain varieties, and the mineral salts and vitamins. 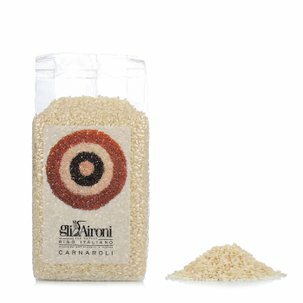 This mix is perfect for making unique dishes with a delicate flavour, in particular together with fish, vegetables or white meat dishes, steam cooked or as rice pilaf. Ingredients Italian whole grain long rice, Italian whole grain red rice, Canadian wild rice (Zizzania palustris), Italian whole grain basmati rice. For more information on product labels, please contact our Customer Service department. The information on the labels of the products may vary for reasons beyond our control, therefore, there may be discrepancies between the information on the site and that on the products delivered. Please always check the information on the product before consumption or use.